it is time again for a Miniatures Unpacked. 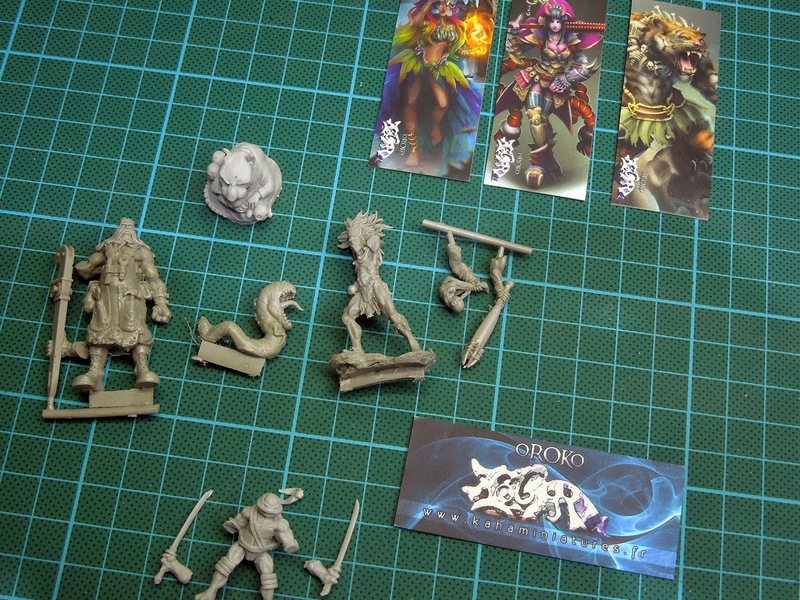 This time we take our time to talk about "Kaha Miniatures". 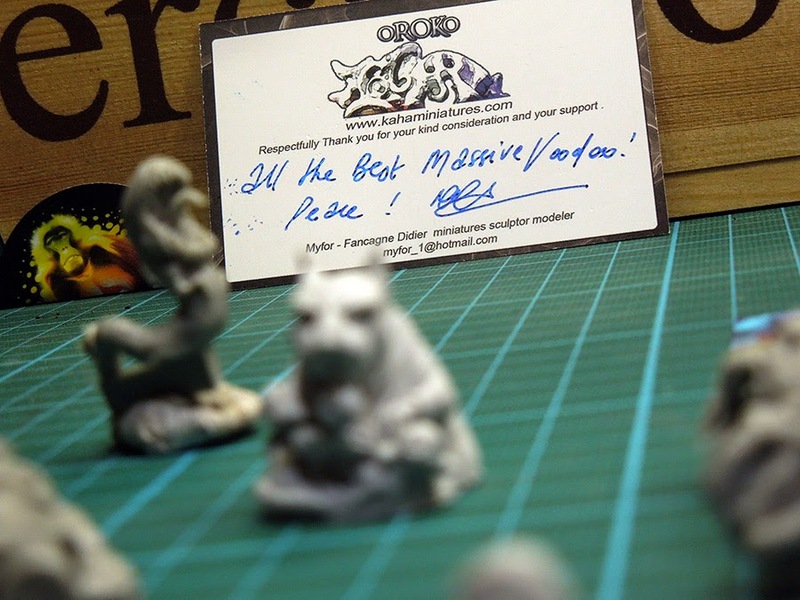 A small company from France and sculptor, distributor and person behind the company is the very kind Fancagne Didier. 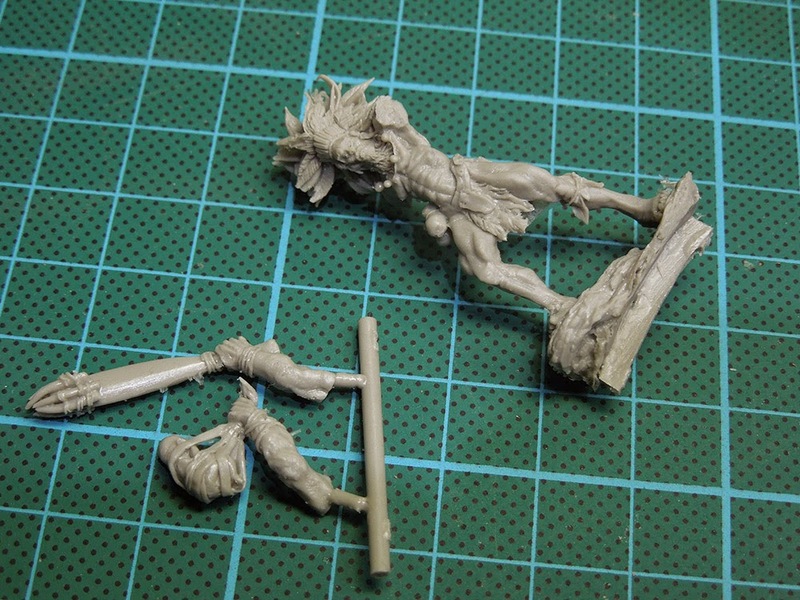 Here you find actual news about Kaha-Miniatures on facebook. 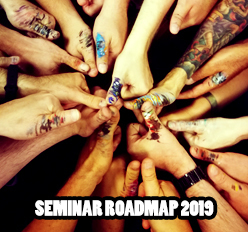 Some of you might know Kaha-Miniatures for their unique styled models, others for the recently hype about Ninja Turtles. Well, recent hype about those four turtle brothers? No it ain't a recent hype - we already loved them when we were kids, watched cartoons on TV and played TMNT games on our Nintendo Game Boys. 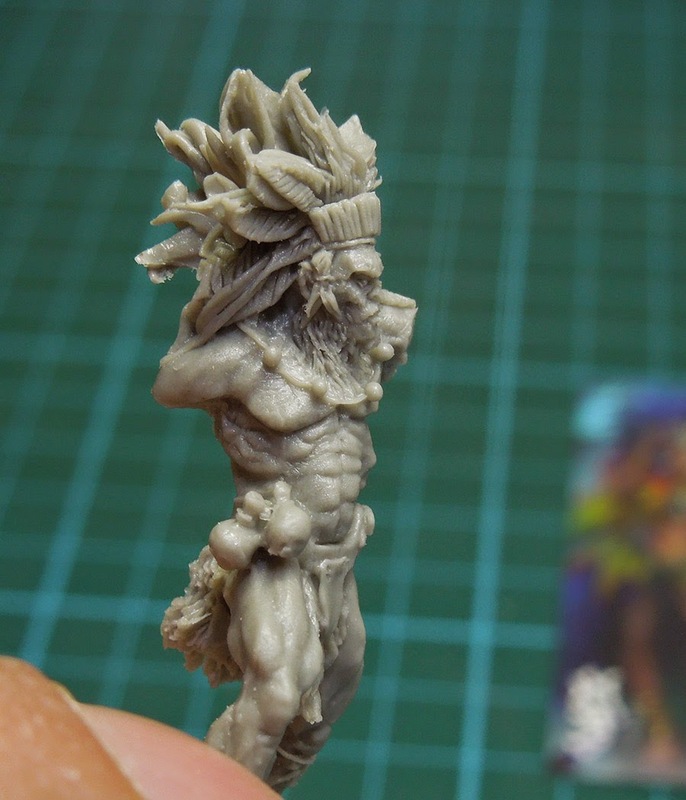 Mainly the sculpts arrive in 28 mm to 32 mm. 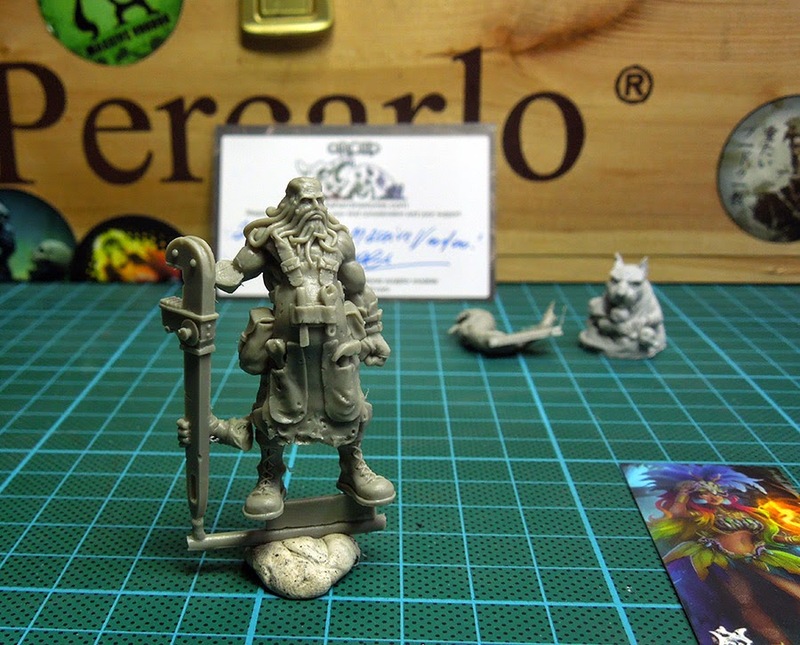 Fancagne did sent us some models of his range to have a look on them and you will also find some of them to win in the random price pool of MV's Bananalicious Painting Contest - Episode 2. 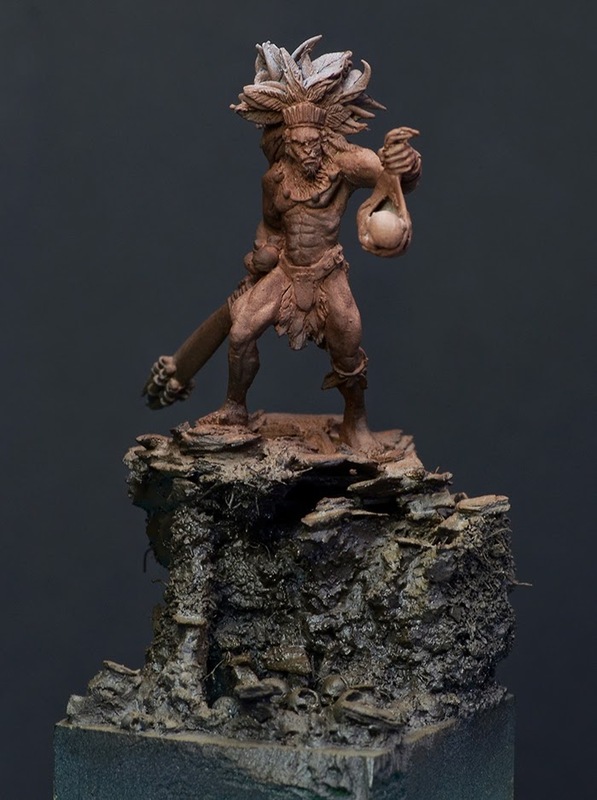 It is easily visible why we say unique sculpts. 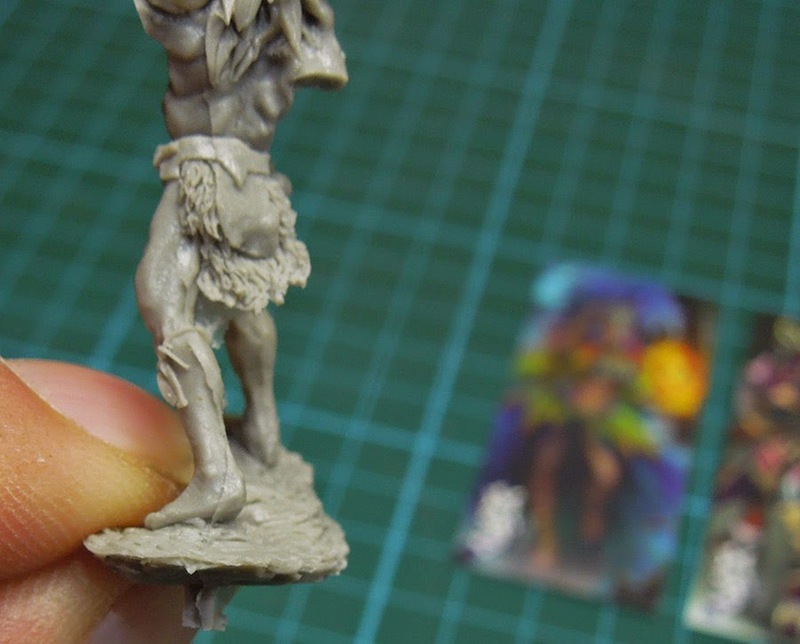 They have a special touch on them, a special different look to so many other miniature lines outthere and our guess is that comes from the soul of the sculptor. 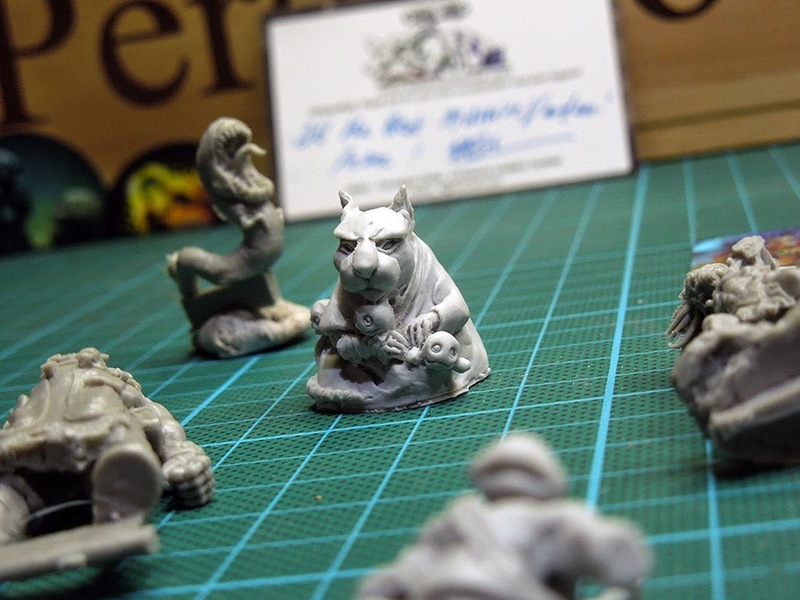 You find smaller funny sculpts in the range of Kaha-Miniatures, for example this mysterious dog with small voodoo dolls or the worm in the back screaming for attention. We told you about the Turtle guys, eh? 28 mm TMNT how cool is that! Let's have a closer look at "Hiwapu - Lord of the Kohiwi"a character that caught our eyes from the moment wew opened up the Kaha-Box. A high priest of Kohiwi ready to sacrifice a newborn. At least that was our impression. Maybe he is just praising the baby to his tribe or gods. 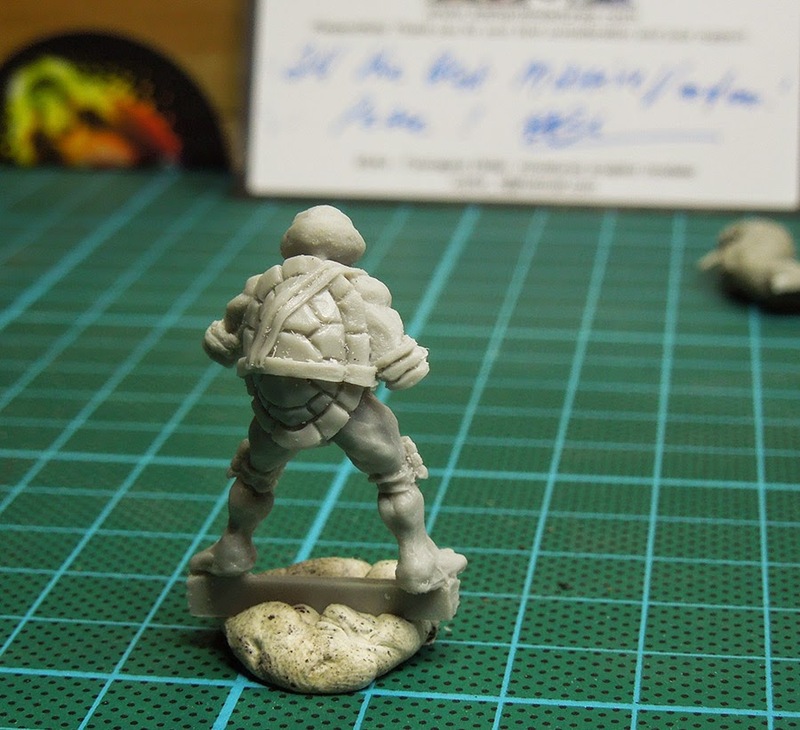 The models of Kaha-Miniatures arrive in good quality resin and are easy to handle. Some arrive with several parts and others are just in one part, which we find magnificant from the casting abilities. Hiwapu arrives in three parts and already has some kind of rocks beneath him that give a good start for a base. Well, in some spots we found some harsh mould lines that will take a while to be cleaned properly, but as the model arrives in resin it is ok to handle them. The quality of the sculpt is really cool and the sculptor definatly enjoys his work as you can see in this close up. Bringing Hiwapu together we had to fill some tiny gaps on both of the arms. Quick as lightning a base was build for him. Indeed cool and unique models. 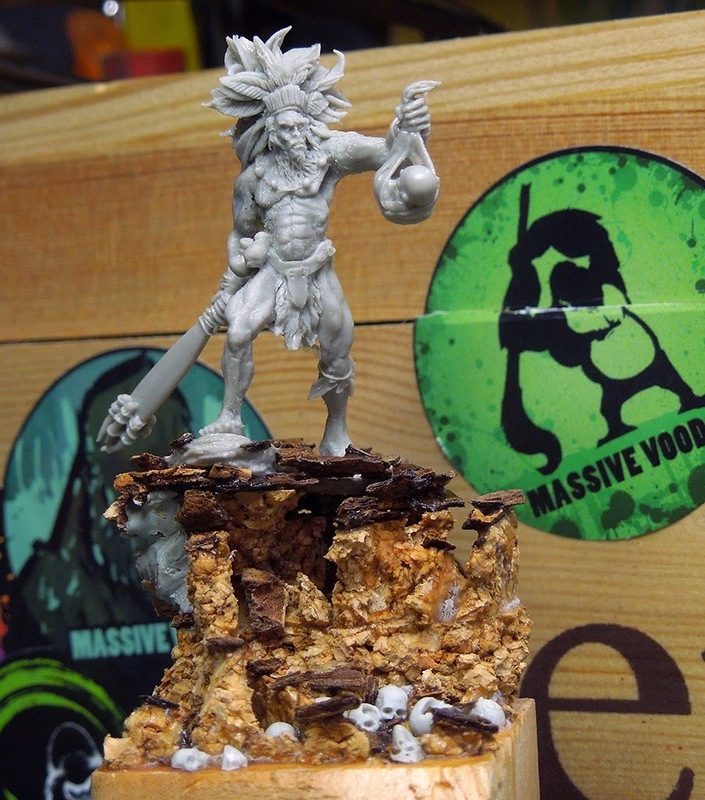 If you want to check out Kaha-Miniatures go for their shop site or their facebook page. I am sure if you got any questions concerning the range of Kaha there will be a helpful person answering it to you! Hiwapu is absolutely amazing sculpt. Beautiful sculptural work. Thanks for sharing. Quite Impressive Voodoo-man! Thanks for this review. Some interesting figures at a reasonable price. Will defenitely give them a try. Thanks for bringing it up to our attention. Kaha Miniature and Gros Peintre are organising a painting contest.